Norway's Sverre Lunde Pedersen leads his team in the men's team pursuit quarterfinal speedskating event. 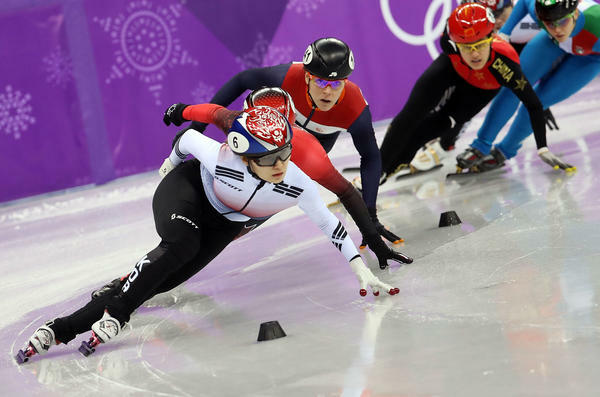 In the Winter Olympics, where races can be won or lost by thousandths of a second, tiny imperfections make all the difference. For the sports on ice, skilled technicians work hard to create the perfect surface. 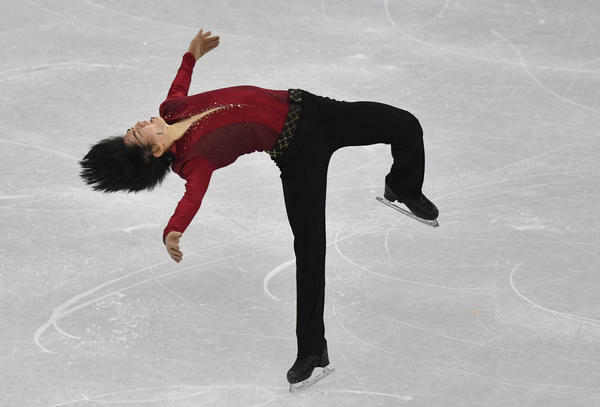 And as NPR's Melissa Block found in Pyeongchang, each ice sport has its own distinct needs. 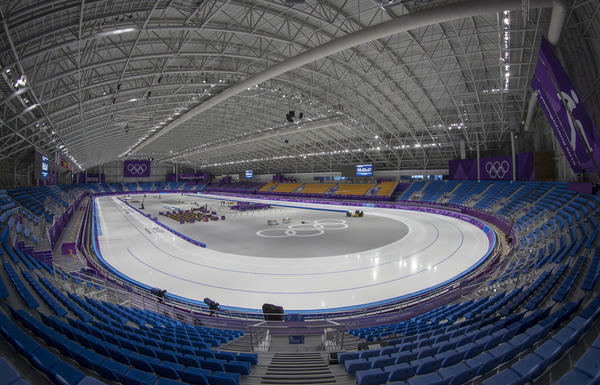 MELISSA BLOCK, BYLINE: Let's start at the oval, the gleaming venue for long track speedskating. MARK MESSER: Yeah, it looks good. The corners are wearing really nicely. So they're not wearing out from all the laps that are going on. There's not a whole bunch of chunks coming up. BLOCK: I'm with Mark Messer, who spent two years getting this oval into top form. MESSER: Very nice and quiet, too. If it's not good ice, the blades will kind of grind in the ice. And it's a nice and clean sound here. BLOCK: Messer is Canadian, of course, and he's got the best job title ever. MESSER: Ice meister. It's even written on my accreditations. MESSER: I usually tell people I make ice. BLOCK: And all ice is definitely not created equal. Messer explains that long track speedskating requires the coldest ice of all the sports, chilled to between 14 and 21 degrees Fahrenheit. It's also the hardest ice. MESSER: We're trying to get as little friction as possible. So we have to make a balance between grip and glide - enough grip so that the skate can push and get a good push off it, but then we want them to glide as far as possible so that there's less effort expended for the long distance. BLOCK: Skaters will tell you they know instantly if the ice is great or lousy. Lana Gehring is on the U.S. short track speedskating team. BLOCK: A lot of information transmitted through a skate blade just 1 millimeter thick. GEHRING: All that input's coming directly up to our bodies, so we're able to tell, like, right away, like, if it's dense, if it's grippy, if it's breaky (ph), you know, if it's too rough. BLOCK: In short track speedskating, the ice is thicker and warmer than long track ice, hockey ice a bit warmer still. What's especially tricky at the Olympics is that short track speedskating shares a rink with figure skating - two totally different sports with different ice needs in the same space, the ice arena. BLOCK: That's Remy Boehler, the French ice meister at the arena. BLOCK: Boehler says figure skaters need warmer, supple ice so they can dig in for jumps. If the ice is too hard and cold, it'll explode when they land. 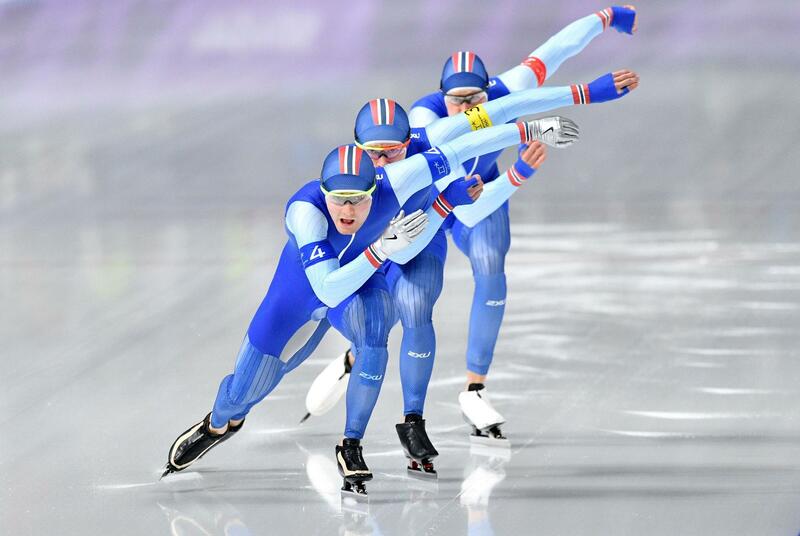 But short track speedskaters need colder, faster ice. It takes about three hours to adjust the temperature from one sport to the other. The best way for Boehler to tell if he's got it right? BLOCK: "What I use most are my ears," he says. "I use them all the time." BLOCK: "When I arrive," he says, "I take off my cap so I can really listen to the sound of the blades, if they're gliding or cracking." And when the ice is great, he can tell by the skaters' faces. BLOCK: "When you see them smiling," he says, "that's the best feeling of all." UNIDENTIFIED WOMEN: (Foreign language spoken). 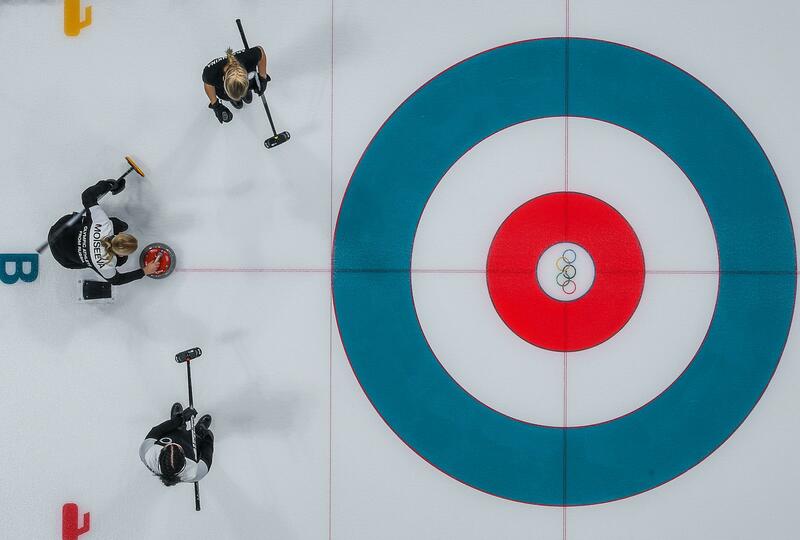 BLOCK: Finally, curling ice, a totally different animal. Look closely at the ice sheets and you'll see they're not smooth. They're textured with tiny dots called pebbles. HANS WUTHRICH: We have what you call pebbling cans with pebble heads. BLOCK: This is curling ice meister Hans Wuthrich. WUTHRICH: We add wee, little water droplets on there. And those wee, little water droplets, they are the thing that touches the bottom of the curling stone. So that's what the rock actually rides on and makes it go easy. And that's also what makes it curl. BLOCK: So when you're watching these Olympics, think for a moment about the ice meisters who devote their lives to creating ice that's so perfect you'll never notice it at all. Melissa Block, NPR News, Pyeongchang. Transcript provided by NPR, Copyright NPR.